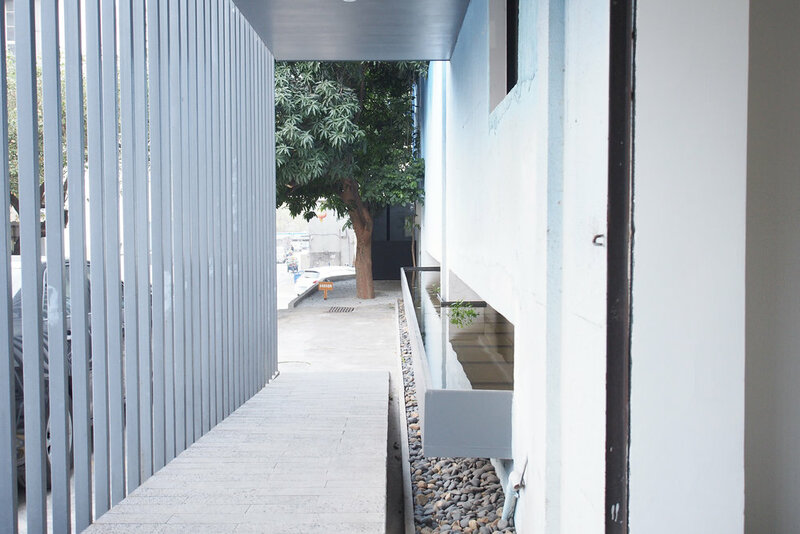 We found a beautifully minimal space in Shenzhen called The Tabernacle (帐幕), located on an industrial site in the Shekou (蛇口) area. The Tabernacle is a prayer and worship space built by local Christian architects, open 24/7 for the general public as a shelter for the soul. After passing through wooden doors, you enter a quiet foyer space equipped with a couch and a bookshelf, with a narrow entrance to the tabernacle space to the left. 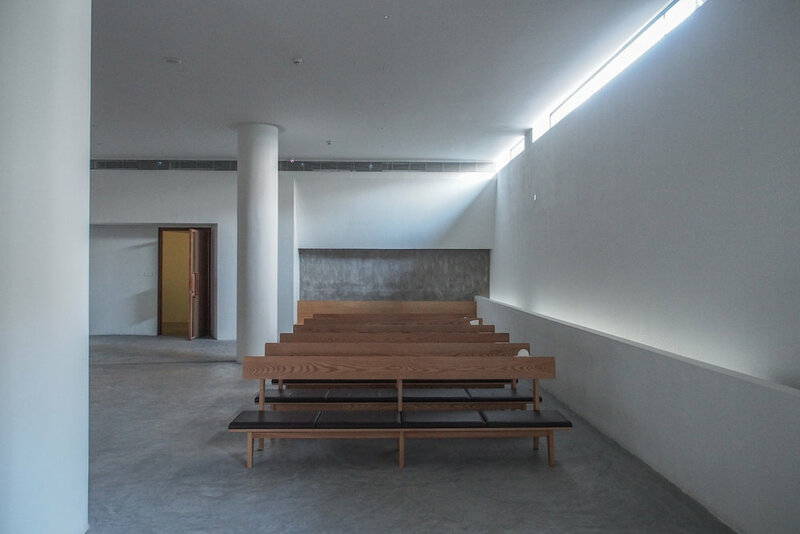 Between grey concrete, white walls and wooden furnishings, the Tabernacle is clean, minimal and naturally lit. The space is separated into the large main tabernacle area, and a smaller narrow space divided by vertical wooden blinds, which is equipped with musical instruments. To the front of the room is a small stage, and at the far corner is a glass door that lets in natural light. The space is open 24/7 free of charge for the general public, and is tended at all times by a caretaker. As you visit, please be reminded to respect the sanctity of the space, mute all your sounding devices and limit any conversation to 30 seconds or less. Photography is allowed but please exercise your discretion in consideration of others.